FILE PHOTO: Taro Aso, Deputy Prime Minister, Minister of Finance and Minister of State for Financial Services of Japan, speaks during the Milken Institute Global Conference in Beverly Hills, California, U.S., May 1, 2017. TOKYO - Japan and the United States are likely to hold their second economic dialogue on Oct. 16 in Washington, a source familiar with the issue told Reuters on Monday. 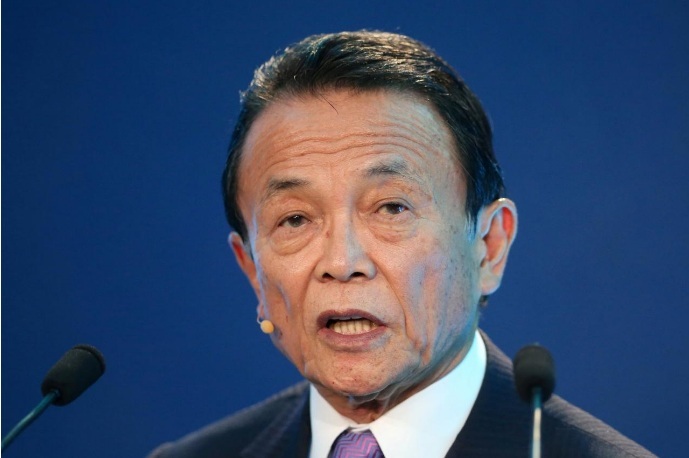 Japanese Deputy Prime Minister Taro Aso is expected to skip the Group of 20 finance leaders’ meeting and IMF meeting from Oct. 12 due to an expected general election in Japan, the source also said. Japanese Vice Finance Minister for International Affairs Masatsugu Asakawa is expected to attend those meetings. Aso, who also serves as finance minister, and U.S. Vice President Mike Pence held the first economic dialogue in April. Japan and the United States are likely to hold their second economic dialogue on Oct. 16 in Washington, a source familiar with the issue told Reuters on Monday.